Watch here Michel Montecrossa’s Free Music-Cinema Masterpiece – ‘Sweet Earth’and read the song lyrics!! I think, if I remember right, man did name it earth. I think it was called paradise. like flowers under the sun. in the grip of some monster-man. I think some times back it was named earth. O my child, what has happened? I see clouds of doom in the air. but you are in love with life. I call sweet earth ‘cause so sweet she once was. Oh, pardon me, sweet lady, that I am only a man. Come closer, my son, and listen with all your heart. Do me a favor and help me to save my sweet earth. Please, do not follow all those who are killing her life. and remember my anguished prayer. cradled by our sweet earth. full of wisdom and full of love. that time is no longer on our side. But I pray: Give us one more chance. Let us find your paradise once again. a place on Your sweet earth. Hier ist Michel Montecrossa’s Free Cinema Masterpiece ‘Sweet Earth’ mit dem Songtext!! 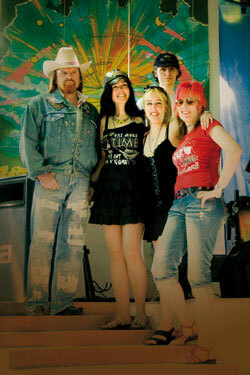 Michel Montecrossa’s Spirit of Woodstock Festival 2008 performances on CD!! 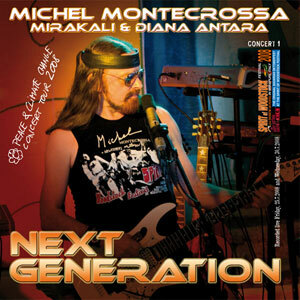 I’ve added a new site to this blog where you find the 15 CDs presenting all the concerts of Michel Montecrossa, Mirakali and Diana Antara at the Spirit of Woodstock Festival 2008. 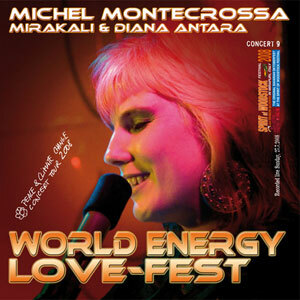 Es gibt hier auf dem Blog eine neue Seite zu den 15 CDs der Konzerte von Michel Montecrossa, Mirakali and Diana Antara beim Spirit of Woodstock Festival 2008.
on Saturday, the 20th, June 2009, from 8:00 p.m. – 1:00 a.m.
Michel Montecrossa‘s (www.MichelMontecrossa.com) great ‘Maria Magdalena Symphony’ released by Mira Sound Germany as Audio-CD with 10 orchestral and chant tracks is dedicated to the life and heritage of Maria Magdalena. Michel Montecrossa has written the lyrics of the chants on the basis of the Gospel of Maria Magdalena. 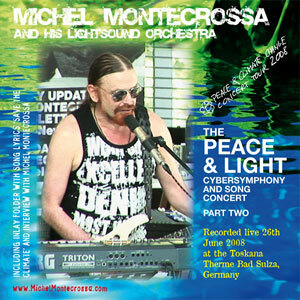 ‘The Maria Magdalena Symphony’ is performed by Michel Montecrossa and his Lightsound Orchestra. The chants are performed in English and German by Michel Montecrossa. 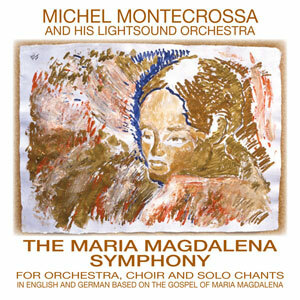 The CD ‘The Maria Magdalena Symphony’ by Michel Montecrossa and his Lightsound Orchestra is available at the Mirapuri-Shop. Mit der ‘The Maria Magdalena Symphony’ veröffentlicht Michel Montecrossa (www.MichelMontecrossa.com) begleitet von seinem Lightsound Orchester eine wegweisende Orchestral-Produktion, die dem Leben und Vermächtnis von Maria Magdalena und ihrer Liebe zu Jesus gewidmet ist. Die Symphony führt in Bereiche überwältigender musikalischer Ausdruckskraft und Schönheit und vermittelt in den vorgetragenen Texten der 10 orchestralen und Chants Titeln die Begegnung mit einer Welt tiefempfundener, freiheitlich-inspirierender Glaubenserfahrung. Die Texte der Chants wurden von Michel Montecrossa basierend auf dem Evangelium von Maria Magdalena verfasst und werden in Englisch und Deutsch von Michel Montecrossa vorgetragen. Yeah, the fantastic next Movie & Music & Art event lies ahead and I will give you you here all the needed informations for the Free Cinema Filmfestival in Mirapuri – so here we go .. The Free Cinema Festival in Mirapuri, Italy is the International Film and Video Festival for all categories of movies in all languages. The Free Cinema Festival in Mirapuri, Italy presents Mirapuri movie artists and their new consciousness approach to the art of movie making as well as international Friends of Mirapuri movie artists. A rare meditation movie with filmscenes of Mira Alfassa – The Mother and her recitation of Sri Aurobindo’s text ‘The Hour Of God’ accompanied by her organ music and music of Sunil Bhattacharya. Part 1 of Michel Montecrossa’s ‘Meditations on Savitri’ series presenting Sri Aurobindo’s great spiritual poem ‘Savitri’ through images created by Mira Alfassa – The Mother along with her recitations from Savitri and her organ music. Michel Montecrossa’s free cinema portrait presenting early documents from the beginnings till 1988. 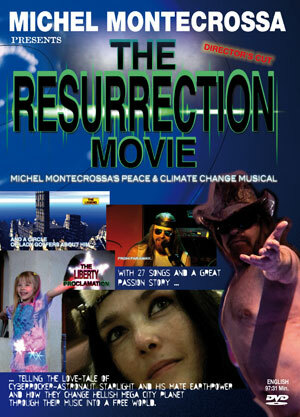 ‘The Resurrection Movie’ released by Filmaur Multimedia on DVD is Michel Montecrossa’s great peace & climate change musical with 27 songs and a great passion story telling the love-tale of cyberrocker-astronaut Starlight and his mate Earthpower and how they change hellish mega city planet through their music into a free world. ‘The Resurrection Movie’ has its premiere on Saturday, 13th June 2009 at the Mirapuri International Free Cinema Filmfestival. ‘The Resurrection Movie’ tells the mythic love story of cyberrocker-astronaut Starlight and Earthpower. In a world that became one global mega city system, Starlight and Earthpower embody the unexpected and unforeseen that change everything. Into the holocaust of unending wars fought by an abysmal society, split between gangstas and rockers and led by a central processor regent (CPR), they bring the victory of humanity. An epic movie of music, love and passion for freedom. A celebration of deep-brain lovemakin’, a grail of demechanization, a revelation of soul and body overcoming terror and impotence. A surreal and ultimately real world where death-fear and libido change into love and life. A musical verite of courage and love, profound emotions, passion and mystery. 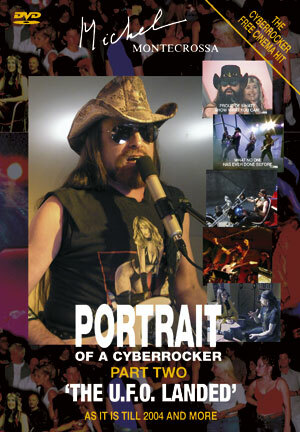 Michel Montecrossa is cyberrocker-astronaut Starlight. Mirakali is Earthpower. ‘The Resurrection Movie’: Power of Art. Power of Cinema. Power of Music. Power of Consciousness. Michel Montecrossa’s free cinema portrait journey till 2004. Hier alle Infos zum diesjährigen International Free Cinema Filmfestival, das vom 12.06. – 14.06.2009 am Omnidiet Hotel stattfindet. Das Free Cinema Festival in Mirapuri, Italien ist das internationale Film- und Video Festival für Filme aller Kategorien sowie allen Sprachen. Das Free Cinema Festival in Mirapuri, Italien präsentiert Mirapuri-Filmkünstler und internationale Freunde von Mirapuri-Filmkünstlern. Das Free Cinema Film Festival findet alljährlich an 3 Tagen im Juni statt und bietet Filmvorführungen, das Vorstellen der Filmkünstler sowie Möglichkeiten zum gegenseitigen Austausch. Der Eintritt zur Veranstaltung ist kostenlos, man kann umsonst campen und und die freundlich gestalteten Preise für Essen, Trinken und Hotelunterbringung tragen zur besucherfreundlichen Ausrichtung dieses Events bei.